5 spring fed lakes set in a beautiful wooded valley with plenty of wildlife to see. The lakes are ideal for beginners as distance casting is not required. 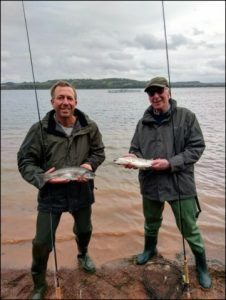 The lakes are of various size and depth which makes for an interesting days fishing. Regular stocking means there is always a good head of fish. Sutton Bingham Reservoir Nr Yeovil. 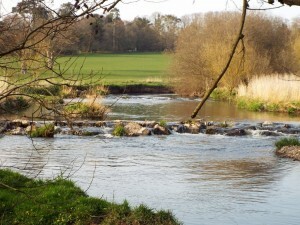 This is a 142 acre water offering excellent bank or boat fishing for rainbow and brown trout. Because the water is not deep the venue is very good for nymph fishing with floating lines. Sutton Bingham is ideal for someone who has had some experience on a small still water and wants to make the next step up to a larger water. 130 acres in size,set in the Brendon Hills on the edge of Exmoor, this fishery offers excellent top of the water fishing with nymphs and dry flies. A vast water on Exmoor that offers excellent fishing from bank or boat for hard fighting rainbow and brown trout.Because of its size there are plenty of areas to explore and you are always surrounded by stunning scenery. A 2 acre lake with crystal clear water. Stocked with Blue and Tiger trout as well as Rainbow and Brown. Imatative patterns work well at this venue. 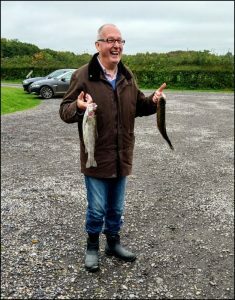 There are many more great venues all within easy reach of my base such as the famous Chew Valley and Blagdon lakes, chalkstream fishing and spate river fishing for salmon, sea trout and wild brown trout.